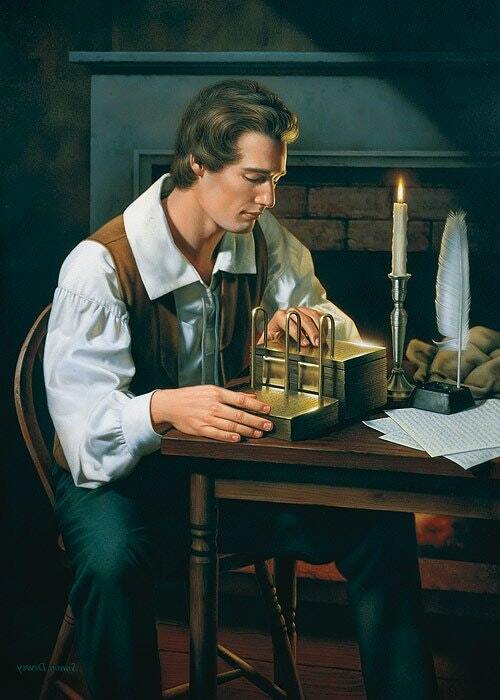 For generations, the LDS Church has promoted the inspiring story of Joseph Smith translating ancient text while diligently scrutinizing a stack of ancient golden plates before him. Many faithful members are surprised to learn that nearly every eyewitness and direct participant refutes that narrative. The LDS Gospel Topics Essay on the translation process declares that revelation comes “in a variety of ways,” including dreams or visions. The essay suggests that Joseph grew into his translator role, enabling the use of his treasure seeking stones for the translation of holy scripture for convenience while carefully avoiding the fact that he never relied upon the plates themselves. The Church now confirms that Joseph relied upon multiple peep stones – primarily his favorite brown rock which he located at the age of 14 and regularly used to seek buried treasure – to bring forth both scripture and revelation. Joseph the Seer, published on LDS.org in 2015, contains the Church’s first officially published image of Smith’s rock. Joseph used that very same rock to seek buried treasure for a fee immediately prior to bringing forth the Book of Mormon. The Church acknowledges that years after the fact, “Joseph Smith and his associates began using the biblical term “Urim and Thummim” to refer to any stones used to receive divine revelations, including…the single seer stone.” Thus, Joseph’s treasure seeking rock, the very same one used for the entire translation, becomes officially interchangeable with Urim and Thummim. While a select few did hear Joseph refer to magical items, nobody ever saw a breastplate, spectacles, or ancient interpreter stones. First-hand participants consistently reported seeing Joseph bury his face in his hat while telling the story. The golden plates were never present in the room during translation, much less on the table as depicted in Church-sponsored art. Archaeology was a new and exciting field in the early-1800s. All things Egyptian intrigued the distant public with tales of discovery. Hugh Nibley ironically quipped, “The air of mystery and romance that has always surrounded things Egyptian has never failed to attract swarms of crackpots, cultists, half-baked scholars, self-certified experts, and out-and-out charlatans” (Collected Works Of Hugh Nibley, vol 18: An Approach To The Book Of Abraham). It seems fitting in this context, that Joseph Smith claimed that the golden plates were inscribed with a heretofore unknown Reformed Egyptian language. No artifact or document containing such a language has ever been located in the Old World nor the New. The Book of Mormon begins with the story of Lehi’s family fleeing Jerusalem in 600 BC and emphasizes the important records they carried with them. The work is immediately declared to be written “in the language of my father.” The various sets of plates mentioned contained the history of their people, and would have been written in their native language. The suggestion that these earliest American settlers would have relied upon some variant of the Egyptian language rather than their extremely well documented Hebrew tradition stretches the limits of credibility. Joseph claimed that the bundle of gold plates was 7″ x 8″ x 6″, with 2/3 remaining sealed, leaving only 2″ of relatively thick metal plates available for viewing. It begs the question of how 531 double-sided pages of modern typeface could possibly fit onto a couple inches of small metal plates. This inspiring image of Joseph openly studying the golden plates represents the story most members of the Church grew up with. Upon further examination, it becomes apparent that the traditional narrative involving spectacles, interpreters, bows, breastplate, Urim & Thummim and curtains deserves greater scrutiny to obtain a full understanding of who said what, when. In fact, nearly every first-hand witness described the process as Joseph burying his face in his hat and peeping into an allegedly enchanted stone while telling a story. While the statements of the earliest first-hand participants remain relatively consistent, the narrative gets confusing as new terminology, such as Urim & Thummim, became intertwined years after the fact. Most evidence supporting the traditional translation narrative comes from second-hand sources or third-party quotes from an interviewing publication, rather than contemporary statements from the small group of original participants. After Martin Harris lost the 116 pages in June 1829, an angel reportedly took the breastplate and interpreters. Upon starting over, Smith relied exclusively on the rock in his hat method for the entirety of the Book of Mormon we know today. Dan Vogel provides a thorough examination of the confusing translation period in Joseph Smith’s Magic Spectacles. Martin Harris, who served as Joseph’s scribe for a time, and became one of the Three Witnesses before financed the entire printing cost of the Book of Mormon, said “I will now give you a description of the manner in which the Book of Mormon was translated. 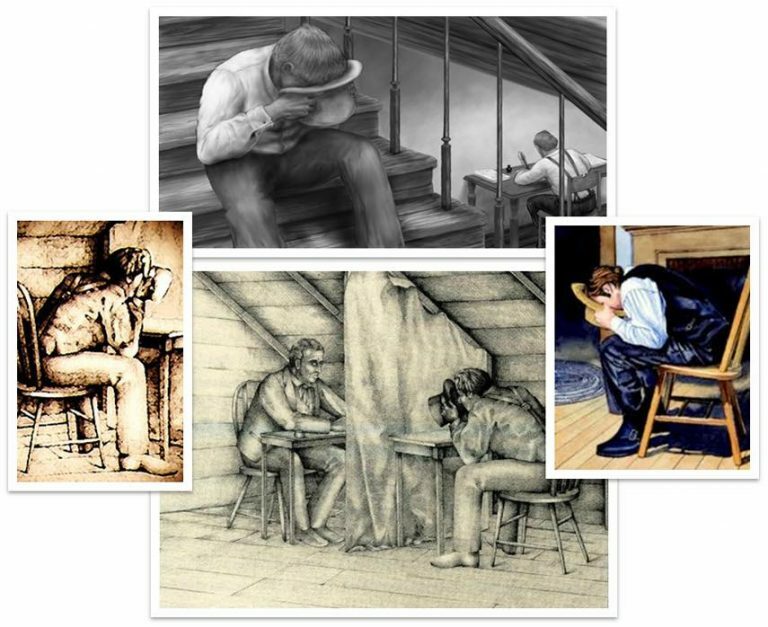 Joseph Smith would put the seer stone into a hat, and put his face in the hat, drawing it closely around his face to exclude the light; and in the darkness the spiritual light would shine.” Martin Harris reported that Joseph regularly sat behind a curtain or sheet, and would sometimes sit in different room or upstairs. Other times there was nothing between anyone as Joseph stared into his hat (Journal of History, 1910, vol 8, 299-300). Emma Smith, direct participant and onetime scribe, confirms that Joseph’s seer stone was used for the entire book we know today. “Now the first my <husband> [Joseph Smith] translated, [the Book] was translated by the use of the Urim, and Thummim, and that was the part that Martin Harris lost, after that he used a small stone, not exactly, black, but was rather a dark color” (Emma Smith Bidamon to Emma S. Pilgrim, 27 March 1870; see also Early Mormon Documents 1:532). Isaac Hale [Emma’s father] provided first-hand, contemporary testimony of his witness to Joseph’s method. “The manner in which he pretended to read and interpret, was the same as when he looked for the money-diggers, with the stone in his hat, and his hat over his face, while the Book of Plates were at the same time in the woods!” (Isaac Hale Affidavit, March 20, 1834). “David Whitmer was repeatedly reported to have said that after the loss of the 116 pages, the Lord took both the plates and the Urim and Thummim from the Prophet, never to be returned… In their stead, David Whitmer maintained, the Prophet used an oval-shaped, chocolate-colored seer stone slightly larger than an egg. Thus, everything we have in the Book of Mormon was translated by placing the chocolate-colored stone in a hat, into which Joseph would bury his face so as to exclude the light. While doing so he could see an oblong piece of parchment, on which the hieroglyphics would appear, and below the ancient writing, the translation would be given in English. Joseph would then read this to Oliver Cowdery, who in turn would write it. If he did so correctly, the characters and the interpretation would disappear and be replaced by other characters with their interpretation” (Revelations of the Restoration, Joseph Fielding McConkie, Craig Ostler, 89-98. The authors are referring to Cook, David Whitmer Interviews, 115, 157-58). David Whitmer confirmed the methodology through which a perfect translation should be expected. “…and if by any means a mistake was made in the copy, the luminous writing would remain until it was corrected. It sometimes took Oliver several trials to get the right letters to spell correctly some of the more difficult words, but when he had written them correctly, the characters and the interpretation would disappear, and be replaced by other characters and their interpretation” (Deseret Evening News, James Hart to Editor, March 18, 1844). Elizabeth, Oliver Cowdery’s widow and David Whitmer’s sister, was a direct witness as Joseph translated in her father’s small cabin, provided her testimony of the process. “He would place the director (stone) in his hat, and then place his face in his hat, so as to exclude the light, and then read to his scribes the words (he said) as they appeared before him” (Elizabeth Ann Whitmer Cowdery Affidavit, 15 Feb. 1870). William McLellin concluded his extensive research (conducted years later when the term Urim & Thummim term had eclipsed the seer stone) into the translation process with the following statement. “Now all LDS-isms claim that Joseph translated the book with Urim and Thummim, where he did not even have or retain the Nephite…interpreters, but translated the entire Book by means of a small stone. I have certificates to that effect from Elizabeth Cowdery (Oliver’s widow), Martin Harris and Emma Bidamon (Joseph’s wife). And I have the testimony of John and David Whitmer” (William McClellin to Joseph Smith III, July 1872). Nobody ever viewed the breastplate, spectacles or interpreters; they only heard Joseph speak of them. The spectacles were not part of Smith’s story to his family in 1823 and entered the narrative only after Samuel Lawrence, a treasure digging associate, suggested them in 1825. Lucy Smith (Joseph’s mom) claimed decades later to have felt the interpreters through a cloth, and that a sheet often separated Harris from Joseph during their work. This brief, early effort with Harris appears to be the only time the spectacles were suggested to have been used. Today, members are far more likely to hear church leaders refer to inspiration rather than translation. A prime example includes, Why Joseph Smith’s Dictation of the Book of Mormon is Simply Jaw Dropping, featured in the November 2018 issue of LDS Living. The church is subtly attempting to change the narrative for future generations. For many faithful members who have spent their lives defending Joseph’s translation of actual plates, this represents a significant turnabout. The term “Urim and Thummim” (U&T) is anachronistic no matter what it’s referring to in Book of Mormon translation context. The early Church knew but two terms: “interpreters” for the Nephite spectacles purportedly used for the first translation effort, and “seer stone” for the brown rock Joseph found as a youth. In his 1832 history, Joseph Smith merely stated “The Lord had prepared spectacles for to read the Book, therefore I commenced translating” (Joseph Smith History, 1832, Letterbook 1:5, LDS Church History Library). The term Urim and Thummim was not known within the church until 1833, when W.W. Phelps speculated that the interpreters may have been the biblical Urim and Thummim. People then began using the term to refer to the seer stone, which is odd since U&T refers to two things, while a stone is just one. It is instructive to compare present day D&C 10:1, which mentions the Urim and Thummim, to the original Book of Commandments, which contains no such reference. This revelation was altered years after the fact, as the words “Urim and Thummim” were inserted into the D&C after that narrative gained favor. A white seer stone, which Joseph relied upon to help translate the Egyptian papyri into the Book of Abraham, was also later referred to as the Urim and Thummim. This alteration of scripture, one of many such examples, and the commingling of otherwise anachronistic terms and magical items, are illustrative of the difficulty surrounding the translation topic. Not until many years later did Smith introduce the notion of the spectacles being attached to a breastplate. Lucy Smith professed to have felt an item under a cloth, but since nobody ever saw the object, any description thereof could only have been a retelling of Joseph’s story. Dan Vogel observed that Lucy’s description in her preliminary manuscript of “3 cornered diamonds set in glass and the glass was set in silver bows” was recorded in a different ink, and was likely a later addition to the text. He posits that “the added information seems inconsistent with Lucy’s original description of “smooth stones” (L. Smith, Preliminary Manuscript, 61-62). Regarding the breastplate of “extraordinary size”, which frequently worked its way into LDS art, Vogel reminds us that, “As with the spectacles, her experience with the breastplate was unique, unconfirmed, and uncorroborated by others. Why would Joseph allow others to lift the plates through a cloth but permit only his mother to examine the breastplate and spectacles?” He relays historian Dale Morgan’s observation, “She is the only one who ever claims to have handled this breastplate, and I am inclined to doubt that her memory is substantive” (Joseph Smith, The Making of a Prophet, Vogel, 100). Many notions inherent in the traditional LDS narrative rely upon Lucy Smith’s account, prepared decades after the martyrdom of her beloved son. Her descriptions in no way help resolve the logistical challenges of constantly relocating the objects to and from their various secret locations, which included a small (10″ x 12″) Ontario glass box, a barrel of beans, Eldred Smith’s shallow box, under the hearth, even in the shed and woods. Brigham Young demonstrated the varied and interchangeable terms early Mormons often used to describe the seer stone and Urim and Thummim: “I met with the Twelve at Brother Joseph’s. He conversed with us in a familiar manner on a variety of subjects, and explained to us the Urim and Thummim which he found with the plates, called in the Book of Mormon the Interpreters. He said that every man who lived on the earth was entitled to a seer stone, and should have one, but they are kept from them in consequence of their wickedness, and most of those who do find one make an evil use of it; he showed us his seer stone” (Brigham Young, Millenial Star 26:118, Dec. 27, 1841). Most, if not all, of the stories involving spectacles, interpreters or breastplates originated from the same source – Joseph. Dan Vogel provides a thorough examination of the confusing translation period in Joseph Smith’s Magic Spectacles. Multiple Mormon sources demonstrate that post 1828, Urim and Thummim (U&T) referred to a single stone. David Whitmer affirmed that “the revelations in the Book of Commandments up to June 1829, were given via the stone through which the Book of Mormon was translated.” There was no reference to the U&T in the headings of the Book of Commandments (1833) or in the headings of the D&C editions prepared during Smith’s lifetime (1835 and 1844). Orson Pratt observed: “The U&T is a stone or other substance sanctified and illuminated by the Spirit of the living God.” This substitution of words is crucial evidence that by 1829 Smith was using biblical terminology to mainstream into the church narrative an instrument previously used primarily for treasure seeking. Smith referred to his stone, others said by the aid of a “glass” (Early Mormonism and the Magic World View, 175). Martin Harris provided additional confirmation that the brown peep stone was used to create the Book of Mormon, and that the rock was referred to as the Urim and Thummim. “The tablets or plates were translated by Smith, who used a small oval or kidney-shaped stone, called Urim and Thummim, that seemed endowed with the marvelous power of converting the characters on the plates, when used by Smith, into English, who would then dictate to Cowdrey what to write” (Letter to Chicago Tribune, David Whitmer, 1881). Mormon leaders and non-Mormon sources agree that Joseph used his brown treasure-seeking stone to discover the gold plates. “He looked in his stone and saw them in the place of deposit.” Without the stone “he would not have obtained the book.” “It was by looking at this stone in a hat, the light excluded, that Joseph discovered the plates.” In 1877 the printer who typeset the Book of Mormon stated that Smith told him that “by the aid of his wonderful stone he found gold plates on which were inscribed the writings in hieroglyphics” (Early Mormonism and the Magic World View, 145, 173). 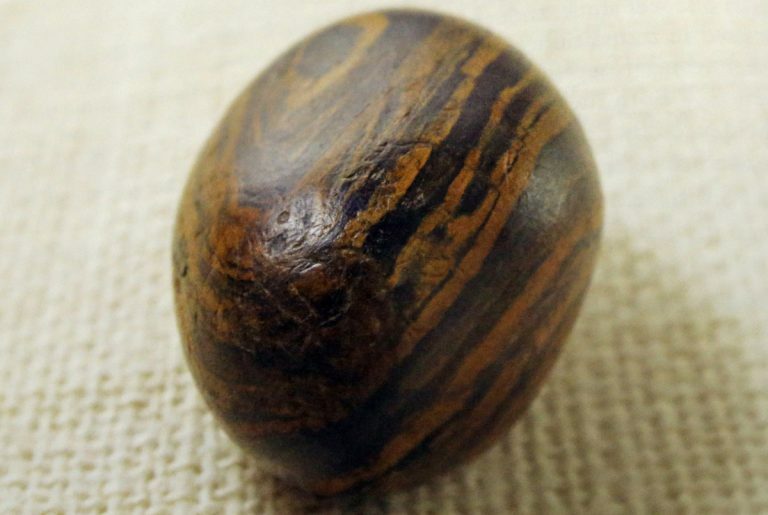 Although the brown seer stone was carried on his person for years, around the time Smith organized the Church in 1830, he ceased using the stone which had served him so well in bringing forth the Book of Mormon. According to David Whitmer, Smith gave it to Oliver Cowdery. Until his death in 1850, Cowdery kept this stone as a sacred relic. Oliver’s brother-in-law obtained the stone from Cowdery’s widow and gifted it to Brigham Young in Salt Lake. One of Young’s counselors informed a congregation that Young had “the Urim and Thummim.” By this point, the term Urim and Thummim had become fully ingrained into mainstream doctrine, with few members understanding the true history. Brigham Young told the apostles in 1855 that Smith had five seer stones. At the dedication of the Manti, UT temple in 1888, Wilford Woodruff consecrated the brown rock upon the altar in the temple. (Wilford Woodruff journal 8, May 18, 1888) The stone remains in the LDS Church’s vault, along with at least two additional seer stones (Early Mormonism and the Magic World View, 243-6). Lorenzo Snow exhibited the whitish, opaque stone – the one Joseph first obtained. Despite various Church assertions that Joseph ceased using seer stones, he merely switched to the white one in later years. On Nov 4, 1830, Smith used the white stone to dictate a revelation for Orson Pratt (D&C 34). On Oct 7, 1835, he again used the white seer stone – by this point referred to as Urim &Thummim – for blessing Newel Whitney. Joseph also used the white stone to translate the Egyptian papyri into the Book of Abraham – now proven to not be what it claims. 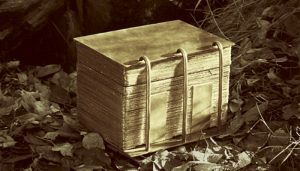 “Church historian Joseph Fielding Smith commented that these Book of Abraham references could not mean the biblical Urim and Thummim, nor the instrument found with the gold plates. He said these statements had to refer to the seer stone” (Early Mormonism and the Magic World View, Quinn, 243-5). While today, the LDS Church has become more open about Joseph Smith’s use of seer stones, this has not always been the case. Some prominent LDS authorities had long denied Smith’s use of the stones, even instructing that they were counterfeit, inferior, or evil stories concocted by “anti-Mormons.” Apostle Bruce R. McConkie mocked the idea of seer stones, writing “In imitation of the true order of heaven whereby seers receive revelations from God through a Urim and Thummim, the devil gives his own revelations to some of his followers through peep stones or crystal balls” (Mormon Doctrine, 566). “These stones, the Urim and Thummim which were given to the Brother of Jared, were preserved for this very purpose of translating the record, both of the Jaredites and the Nephites…It hardly seems reasonable to suppose that the Prophet would substitute something evidently inferior under these circumstances. 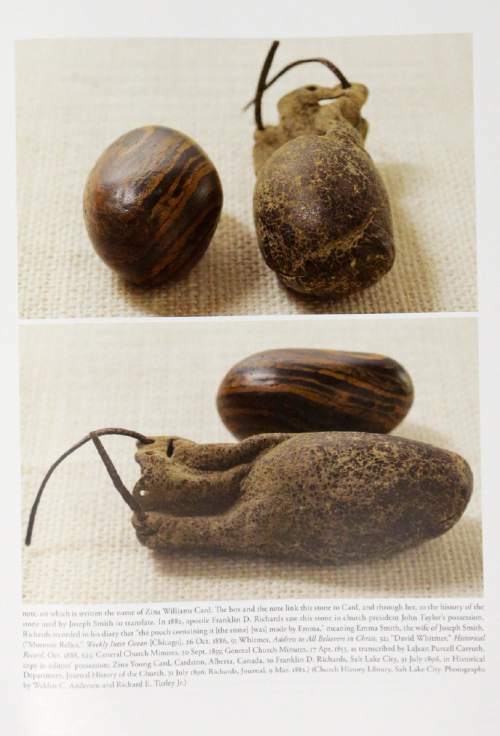 It may have been so, but it is so easy for a story of this kind to be circulated due to the fact that the Prophet did possess a seer stone, which he may have used for some other purposes” (Doctrines of Salvation, Joseph Fielding Smith 3:225-226). Smith’s favored brown peep stone, with pouch worn around his neck. See Devil, Revelation, Urim and Thummim. In imitation of the true order of heaven whereby seers receive revelations from God through a Urim and Thummim, the devil gives his own revelations to some of his followers through peep stones, or crystal balls. An instance of this copying of the true order occurred in the early days of this dispensation. Hiram Page had such a stone and was professing to have revelations for the up-building of Zion and the governing of the Church. Oliver Cowdery and others were strongly influenced thereby in consequence of which Oliver was commanded by revelation: “Thou shalt take thy brother, Hiram Page, between him and thee alone, and tell him that those things which he hath written from that stone are not of me, and that Satan deceiveth him” (D&C 28:11). “In the opinion of the writer, the Prophet used no seer stone in translating the Book of Mormon, neither did he translate in the manner described by David Whitmer and Martin Harris. The statements of both of these men are to be explained by the eagerness of old age to call upon a fading and uncertain memory for the details of events which still remained real and objective to them” (The Improvement Era, 1939). “The testimony of David Whitmer…clearly contradicts the principles established by the Lord in this revelation [D&C 9]. It is also at odds with the testimonies of both Joseph Smith and Oliver Cowdery. In our judgment, Mr. Whitmer is not a reliable source on this matter. We are entirely respectful of and grateful for the testimony to which he appended his name as one of the three witnesses of the truthfulness of the Book of Mormon and its divine origin. That, however, does not make him a competent witness to the process of translation. We too, like countless others, are competent witnesses of the truthfulness of the Book of Mormon. Our knowledge of how it was translated, however, is limited to that which has come through the channels ordained by the Lord for that purpose. Finally, the testimony of David Whitmer simply does not accord with the divine pattern. If Joseph Smith translated everything that is now in the Book of Mormon without using the gold plates, we are left to wonder why the plates were necessary in the first place” (Revelations of the Restoration, Joseph Fielding McConkie, Craig Ostler, 89-98). “We have some accounts that are OBVIOUSLY not so, that that’s how Joseph translated. We have accounts by David Whitmer written some 50 years after the event which say Joseph buried his head in a hat and read the translation from a seer stone. IT JUST COULD NOT HAVE BEEN. It does not accord with any revelation that we have or the testimony of the prophet” (Great Doctrines of the Book of Mormon, 1991). As evidence compounds to illustrate how the Book of Mormon closely resembles the abundant works and theologies of the early 1800s, as opposed to ancient Indians, the need for alternative translation theories gain traction. One such popular theory is that Joseph was free to choose words and phrases, and even significantly expand the text beyond its original state. This theory is called the “loose translation” or “expansion” theory. It is worth identifying how the loss of the first translation attempt, and related revelation (D&C 3), strongly reinforces the “tight” translation scenario. Joseph was apparently instructed not to re-translate the ancient text because of his enemies’ evil designs to alter the manuscript and catch Joseph in a contradiction. Had there been any room for “expansion,” Joseph would not have concerned himself with potentially differing wording between versions. Not a single punctuation mark existed in the entire original Book of Mormon manuscript, which supports the multiple accounts of Joseph orally dictating the contents. “The sentences were all run in without capitals or other marks to designate where one left off and another began.” The typesetter, John Gilbert, dedicated days to correcting and punctuating the run-on manuscript. “I have frequently to stop and read half a page to find how to punctuate it” (Natural Born Seer, 367 / John H. Gilbert, in Joe Smith: Early Life of the Mormon Prophet). The Book of Mormon presents countless examples of extreme wordiness, which contradict multiple Nephite authors’ comments about economizing their narrative to save space. “I cannot write but a little of my words, because of the difficulty of engraving our words upon plates.” (Jacob 4:1) Despite expressed difficulties, the Book of Mormon contains almost as many verses as the New Testament, twice the words per verse, and a greater word count. Surprisingly, there were more than 1,200 “and it came to pass” references in the original 1830 version. Mark Twain observed that “whenever he found his speech growing too modern – which was about every sentence or two – he ladled in a few such phrases as ‘exceedingly sore’ and ‘it came to pass’…and made things satisfactory again” (see Jarom 1:2; Mormon 9:33). As we explored the Book of Mormon narrative with a greater understanding of how Joseph verbally narrated the story, we began to view such passages as, “And thus we see that…they buried their weapons of peace, or they buried the weapons of war, for peace” in a very different light (Alma 24:19). Other examples include: “And four of them were the sons of Mosiah; and their names were Ammon, and Aaron, and Omner, and Himni; these were the names of the sons of Mosiah.” (Mosiah 27:34) Also, “And behold, in the end of this book ye shall see that this Gadianton did prove the overthrow, yea, almost the entire destruction of the people of Nephi. Behold I do not mean the end of the book of Helaman, but I mean the end of the book of Nephi, from which I have taken all the account which I have written” (Helaman 2:13-14). Do these excerpts read like the careful inscriptions of ancient Indians, or like Joseph Smith orating a story that he is creating? In multiple places, the narrator appears to forget what he had previously dictated and is forced to resort to verbal circumlocution. If the words were indeed carefully abridged by Mormon, they are difficult to reconcile. However, such lapses are easily explained by a break in dictation for the night or simply a lapse in concentration. Lucy Harris, Martin’s wife, intensely distrusted Joseph Smith, fearing he was swindling her husband into funding various treasure digging schemes. The first pages of the translation process, which took two months to produce, were given to Martin for the purpose of convincing her of the translation’s veracity. She most likely destroyed the pages, as they were never seen again. Joseph was so perplexed over the loss that he received his first revelation ever recorded, found in D&C 3. Joseph is chastised and loses his translating privileges for a season. Conveniently, Joseph received his second recorded revelation, D&C 10, restoring his translation privileges, enabling Joseph to continue right where he left off in Mosiah. From D&C Section 10 we learn that Joseph was not to re-translate the same material because of his enemies’ evil designs to alter the manuscript and catch Joseph in a contradiction. Apparently, God had forseen this event when Mormon was abridging the large plates and instructed Mormon to slip in a second set of plates, covering the same period represented in the first 6 books of the present day Book of Mormon; i.e., 1st Nephi – Omni. It is important to note that the Book of Mosiah was actually the first book translated in our present day Book of Mormon. (see Mosiah Priority) Joseph resumed from Mosiah to Moroni and than returned to translate 1st Nephi through Omni from the small plates of Nephi that Mormon slipped in. The lost pages represent the book of Lehi from the large plates. The last book written was the Words of Mormon; a small 2 page; 18-verse book where Mormon conveniently explains how he insert the small plates of Nephi into his larger abridgment of the large plates. Mormon further informs the reader that God instructed Nephi and latter prophets to maintain a duplicate set of plates.